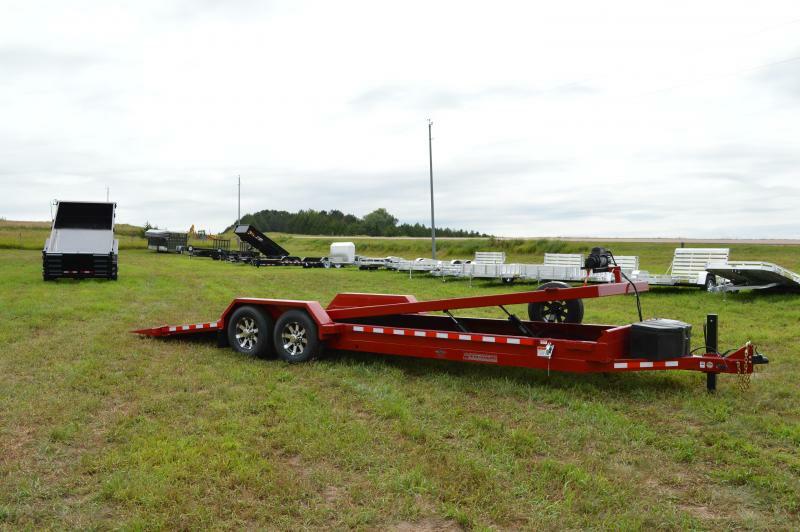 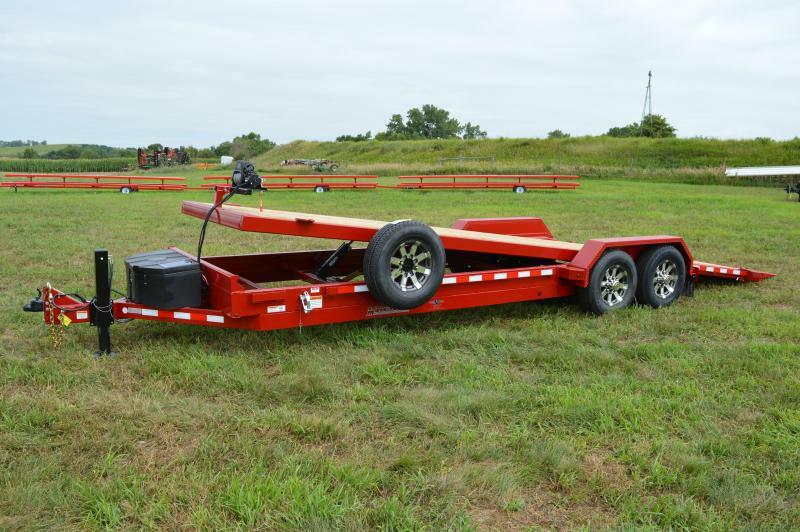 Here is a Midsota TB-24' Full Tilt trailer for doing recovery jobs or just hauling your own personal items. 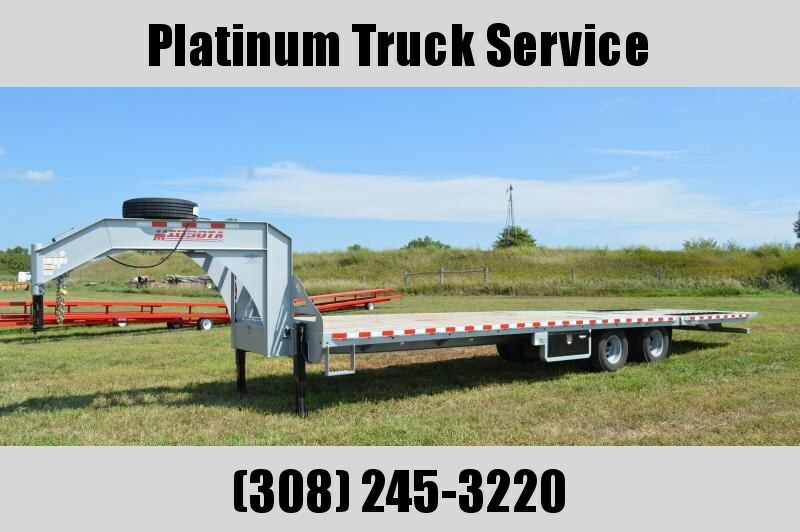 This trailer has a MFG 5 year warranty and has Industrial grade PPG paint . 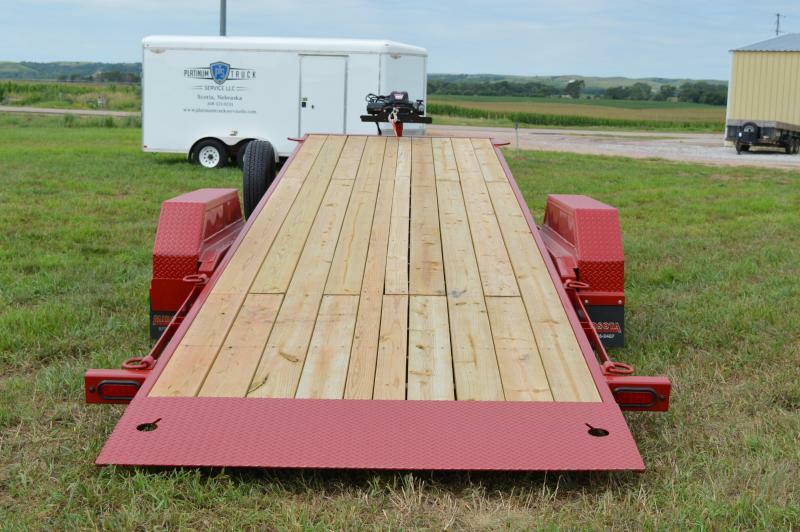 Trailer deck is a full tilt / hydraulic powered and has a deck measurement of 73.5" x 24' plus has 2' of non-load bearing deck that has chain cut outs for tying down .Tongue jack is upgraded to hydraulic power , also has a WARN 12K winch w/ reciever mounted tube in front center of deck .Comes with 16" aluminum wheels which was an upgrade and has 10 ply radial tires. 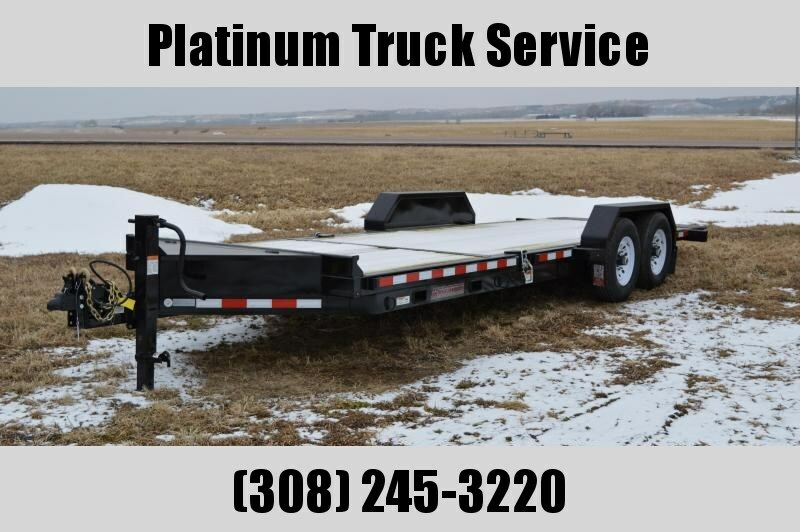 Axles are rated at 7000# with a GVW of 15400# and has electric brakes with forward self adjusting brakes . 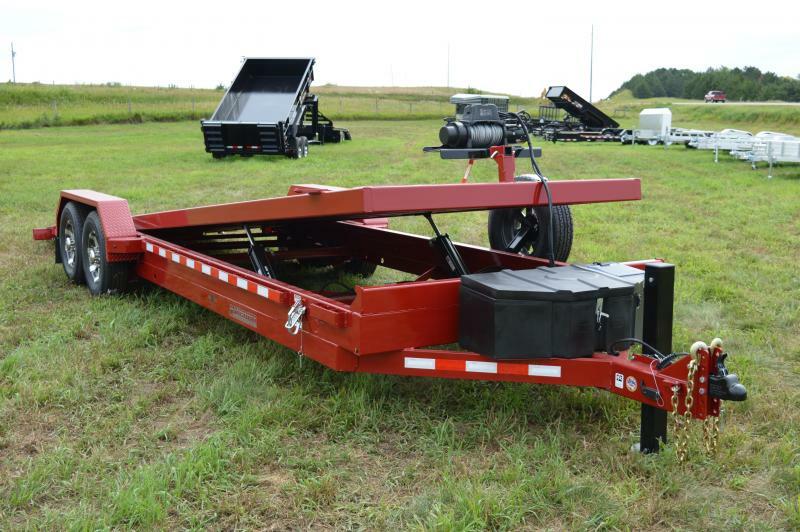 Comes with one spare tire and tire carrier that pins in the side rail , 5 Watt solar charger , ( 4 ) D ring tie downs , ( 2 ) function wireless remote system. 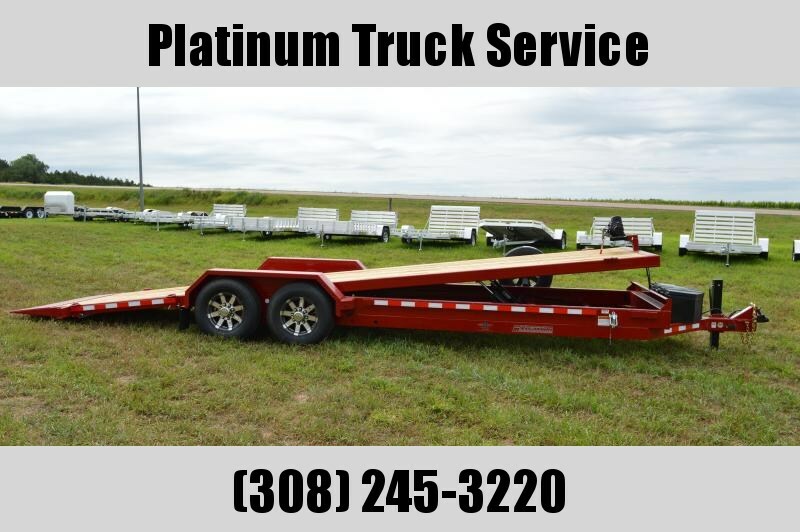 Really Nice setup !